There is no “I” in team. But getting everyone to work together takes a lot more than a pep talk. Try one of these team-building exercises to get your group of many to work as one. Don’t Wake the Dragon. Good for a young age group. The children are villagers in a town under attack by a nasty dragon. To save their village (and themselves), they must line up in order of tallest to shortest … without talking. Once they’ve completed the task, they can simultaneously say “Boo!” to scare off the dragon. Pass the Hula Hoop. Have kids stand with one child holding the Hula Hoop over his or her arm. Have everyone join hands and work together to shimmy, shuffle, and shove the Hula Hoop over their arms, shoulders, and legs to pass it to the partner next to them without breaking the chain. Blanket Volleyball. Divide the group into two. Hand out a large sheet to both groups and have each member grab a side of the sheet. Send the ball over to the other team using the sheet to “pop” the ball over the volleyball net. The whole process forces reach group to not only work together to send the volleyball back over the net but to also communicate to move in place as a unit. Animal Farm. Consider this Old MacDonald with an added team-building component – perfect for a group with younger ones. Each person receives a card with the name of a farm animal on it. To find the rest of their group (e.g., a flock of sheep, herd of cows), they must make the sound of the animal on their card and then assemble into groups based on their animals. Toilet Paper Role Game. Have the group sit in a circle and ask each person to pull off as many squares of toilet paper they need or want. Continue passing the role around until it’s empty. Once done, have each person say something interesting about themselves for each square of paper they have. Tug-o-War. Sure, it’s an obvious option when it comes to building unity among a group. But it’s also tried and true in that it not only forces the group to work as one but it also encourages them in a positive, competitive spirit. Take Me Out to the Ball Game. 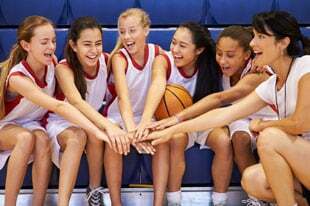 An afternoon (or evening) outing to a ball game—be it an NBA, NFL, NHL, or NBA game (minor league games are great, too)—is a wonderful way for groups of kids and their coaches to create team unity without even knowing it. Pool Time. Relay races, chicken fights, and cannonballs: they all have a purpose when you gather small groups together. That purpose? Creating team unity. Human Knot. Have the group stand in a circle. Each person grabs another person’s hand across the circle. Repeat with remaining hand. Then the group must work together to unravel the massive human knot. It’s a game of humor—and flexibility—that gets the kids giggling yet working hard to find a solution to a problem. Wheelbarrow Races. This classic relay race has become a go-to team-building exercise for decades, for good reason. While it not only gets kids moving (who wouldn’t love an exercise that encourages fitness? ), it also gets them moving together, working to reach the end of the race. Scavenger Hunt. The Amazing Race isn’t just for adults. In fact, creating a scavenger hunt for a group of young teens encourages not only critical thinking, but teamwork a la The Goonies. Pictionary, Charades, & More. There’s a reason game shows like Win, Lose Or Draw were at one time popular. Besides being good, old fun, they’re also great ways to bond as a group while putting their heads together to figure out the correct answer. Build a Bridge. Split group into equal teams. Give each team a bowl of water and a building kit including items like ice cream pop sticks, putty, string, paper clips, etc. Set the timer for 30 minutes and let creative nature ignite as each group works together to build a bridge that spans across the bowl of water. Once 30 minutes is up, each group demonstrates how well their bridge works by adding pebbles one at a time to see whose bridge is the strongest. Lap Sit. This game of trust is best for larger groups of 10 or more. Have the group stand in a circle, facing counter clockwise with each person facing the person’s back in front of them. Have everyone put his right leg in towards the circle. Have everyone move in to shrink the size of the circle more; keep moving in closer until each person is touching the other person on each side of them. On the count of three, have everyone put their hands on the shoulders of the person in front of them and slowly sit down. If done correctly, everyone should end up sitting on each other’s lap. Mine Field. In a large, open room or field, lay out various objects such as tennis balls, soccer balls, bats, and other sporting equipment. Split the group into pairs with one person in each pair blindfolded. The blindfolded person cannot speak. Have the non-blindfolded partner stand outside the mine field. This person will direct the blind folded partner through the mine field using verbal directions. If the blind folded partner steps on a “mine,” he or she needs to start over. Helium Stick. Split the group into two teams. Line teams up shoulder to shoulder with one hand, palm up, out in front with pointer finger straight out. Place a long rod so it rests evenly across each person’s finger. On the count of three, have the team slowly try to place the rod on the ground without it falling. Rafting, dragon boats, and more. Build team unity on the water when teams hop aboard a white water raft or dragon boat and face the rapids or river together. Best suited for older age groups. Paint Balling. 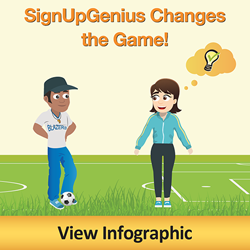 This popular pastime is also an ideal way to create team unity. Set clear rules before you start. Divide the group into two teams and have at it! With these activities, you group will learn to work together AND have fun – two essential components to being part of a team. Blake Miller is a Charlotte, North Carolina-based freelance writer. Her work has appeared in REDBOOK, Dr. Oz: The Good Life, Family Circle, SELF, Forbes.com, and more. Follow her Fit & Fierce Mama blog.